Have you ever made a meal where it has been eaten so quickly that the kids are done before you even sit down for your first bite? 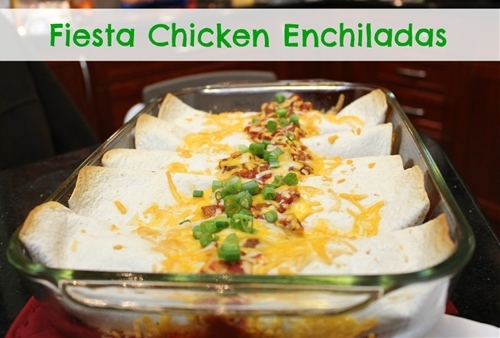 That is exactly what happened when I made Fiesta Chicken Enchiladas this week. Both Little Bear & Monkeys plates were clean and they were asking for more before I even had a single bite of mine!